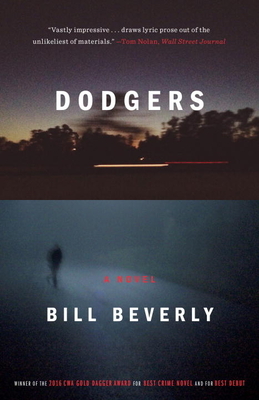 Bill Beverly's beautifully written debut novel, Dodgers, is about a Compton kid named East, who is tasked with piling into a minivan with three other young gang members (including his estranged, violent younger brother) and driving across the Midwest in order to assassinate the man who would testify against their boss. That's the setup, but the real story is concerned with the psychology of displacement. This is a familiar condition for East, who chose to sleep in a cardboard box in an abandoned building, rather than live in his mother's house. Being on the road with virtual strangers, and traveling in unknown places under an assumed name, only exacerbates East's crisis of selfhood. How he manages himself and those around him is the fuel that burns throughout this wonderful, sweet, sad, and deeply sympathetic novel.